The architect for this project was hired by the developer to produce “pricing documents” only. The developer would trust the builders to figure out what to do – fill in the blanks – for conditions not detailed on the architect’s pricing drawings. Pricing Documents are not complete construction documents; they are intentionally incomplete in order to save on design fees; details that would normally be developed in a full set of construction documents are not included. 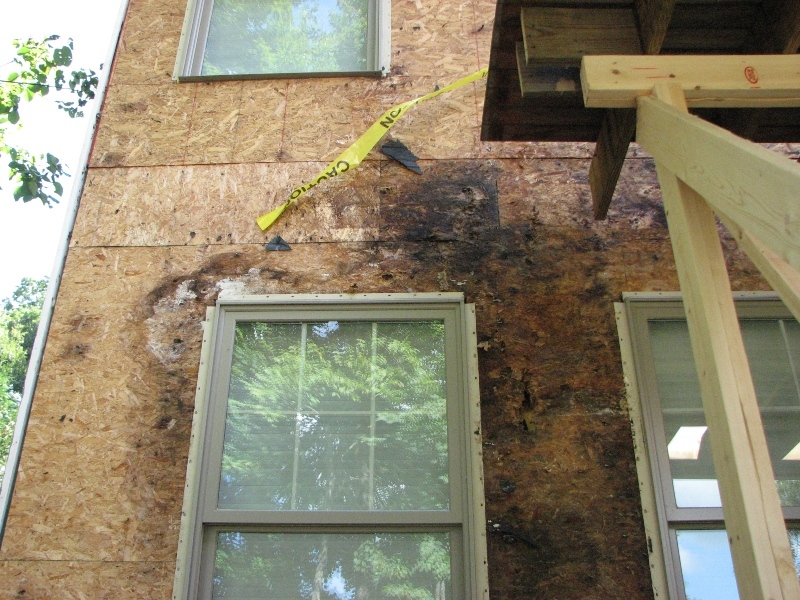 In this case the developer saved on up-front costs by limiting the architect’s services, but the buyers suffered the consequences – deterioration of siding and damage to underlying materials and interior finishes. 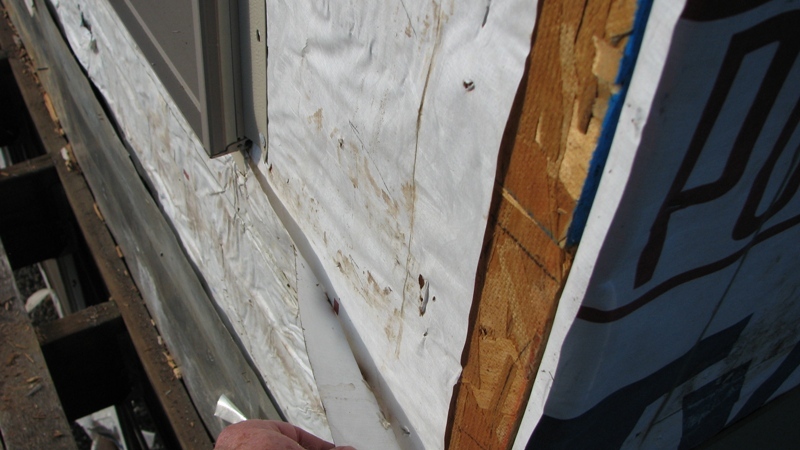 The photos below show a few of the results: Removal of siding revealed damage caused by incomplete and improper flashing and wrong way lapping of building wrap and flashing. The architect had met the standard of care but got sued anyway, along with the developer and builders. At the end of the day, the direct and indirect costs of correction far exceeded the amount that was saved up-front in architectural fees. That’s something to consider.